DAN CAPPELLAZZO/STAFF PHOTOGRAPHERYoungstown - A close up of the master work completed on the historical, hand cut, cedar shingles which grace the roofs at Old Ft. Niagara. 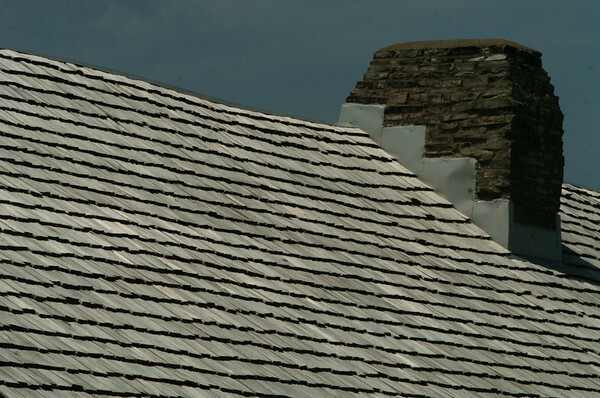 Thompson Roofing, of Niagara Falls completed the job in four months and replaced the historical roofs at Old Ft. Niagara with what would have been original materials, with hand cut cedar shingles. This project was deemed consistent by the Niagara River Greenway and funded by the New York State Parks Standing Committee as part of the relicensing of the New York Power Authority‘s Niagara Power Project.